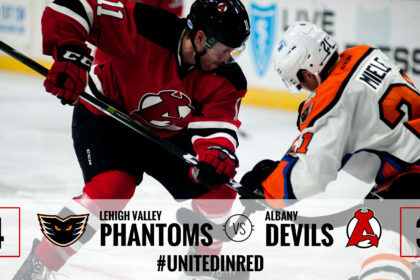 ALBANY, NY — The Albany Devils were defeated by the Lehigh Valley Phantoms 4-3, Friday, in their final meeting of the season. 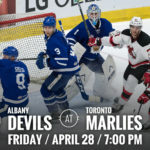 Blake Coleman scored two goals for the Devils and Brian Gibbons registered two assists. 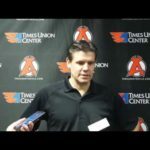 Andy Miele scored the game winner late in the third period for the Phantoms. 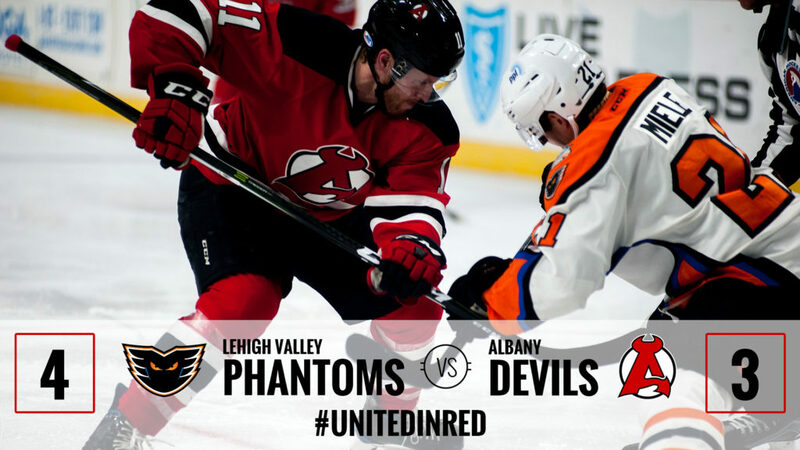 Albany moves to 26-18-1-1 while Lehigh Valley improves to 30-12-2-0. Coleman opened up the scoring at 13:51 of the first period with assists from Gibbons and Ben Sexton. Gibbons extended his point streak to four games with the helper. 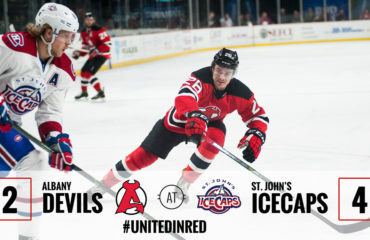 Nick Lappin quickly followed with a tally at 14:30 to give the Devils a 2-0 advantage. John Quenneville notched his 30th point with an assist on the goal. Scott Laughton got Lehigh Valley on the board just 45 seconds into the second period to score the first of three straight Phantoms’ goals. Corban Knight and Chris Conner netted two quick goals at 5:38 and 6:04 of the third period, respectively, to tie the game and take the lead. 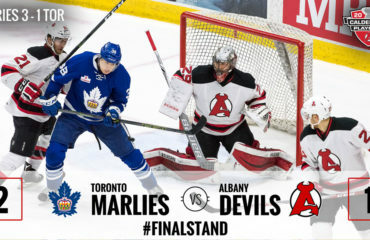 Coleman’s second goal, and team leading 16th of the year, came at 14:12 of the third period assisted by Vojtech Mozik and Gibbons. The power-play goal tied the game at three. 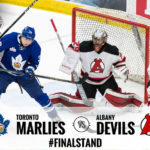 Miele scored the game winning goal at 16:48 of the third period on a four on three power-play after the puck bounced off of the end boards into the slot. 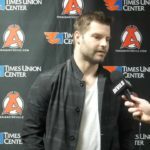 J.P. Anderson had 24 saves on 28 shots in his first appearance at Times Union Center. 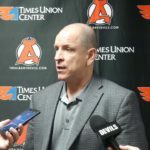 Phantoms goaltender Alex Lyon saved 28 on 31 shots. 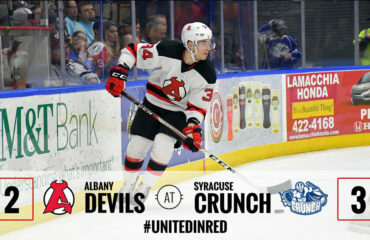 The Devils travel to Binghamton Saturday for a 7:05 pm puck drop.